The above picture was taken on a recent trip to a game park near Victoria Falls. 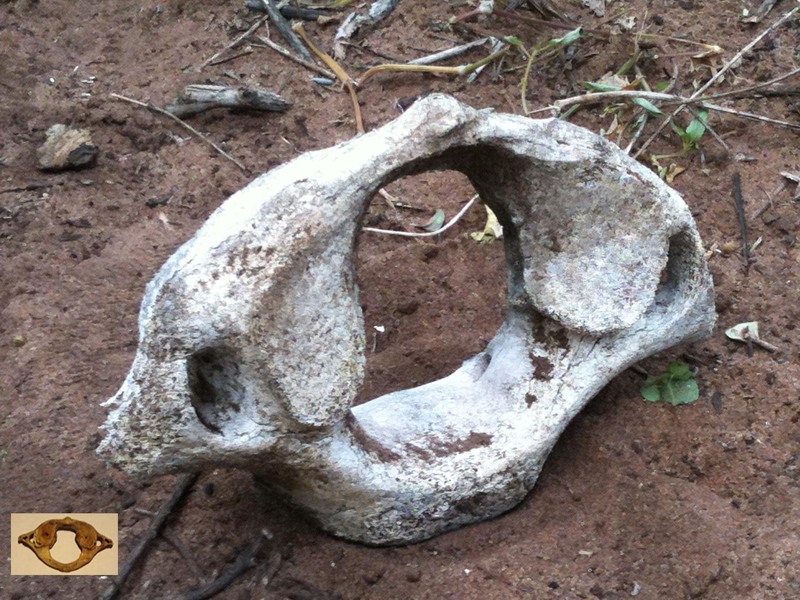 This atlas (first cervical vertebra) of an elephant is so big you could stick your head through the central hole. What struck me looking at the bone was how familiar the shape was. It is just a scaled up version of a human atlas (a human atlas at the same scale is pictured in the bottom left corner, a human atlas would fit easily into the palm of your hand). In fact, lots of the other bones lying around from the skeleton were easy to identify as they were so similar to human bones. You could even tell that this elephant had some arthritis in its lower spine before it died due to the gnarly, misshapen facet joints and vertebral bodies of the lumbar vertebra. Humans share a vertebrate body plan with amphibians, reptiles, dinosaurs, birds, and mammals. We are all tetrapods, descended from a common ancestor, the lobe-finned fish. (Wikipedia). Evolution adapted the structures of the basic plan, for example horses walk on tiptoe on the equivalent of the middle finger and have almost entirely lost their other toes and fingers. 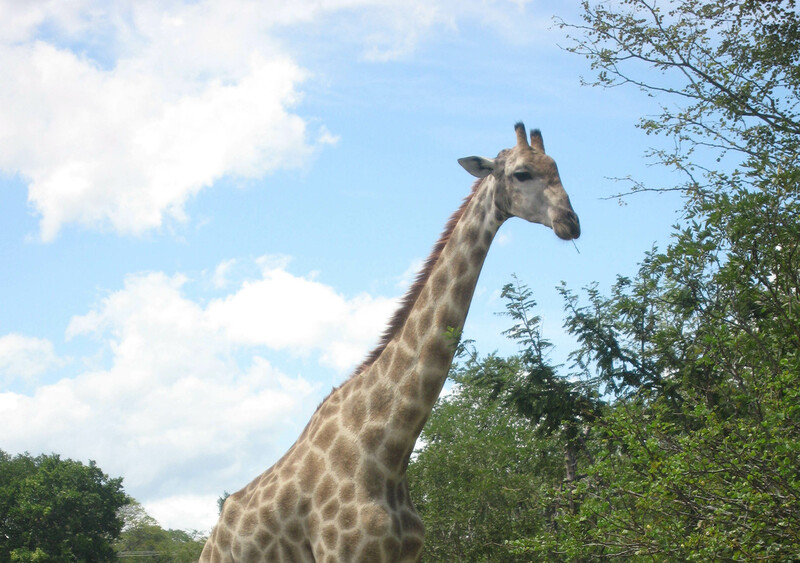 It surprised me to realise that giraffes only have seven neck vertebra, the same as humans; they must be huge. 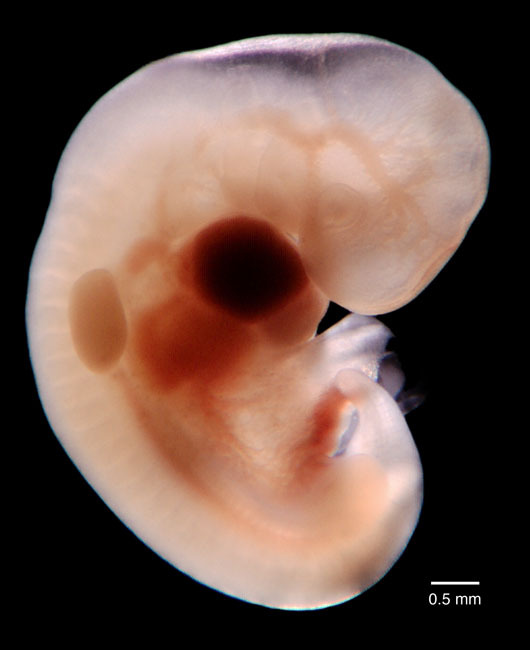 Held (2009 pp 58-59) describes how genes determine the shape of the vertebrae as they develop in the embryo. 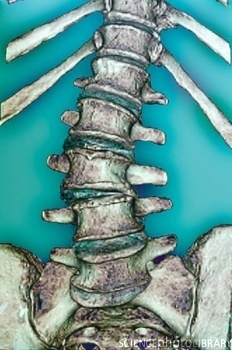 Vertebrae arise from blocks of tissue called somites in the early embryo. Somites (see picture below) arise in a wave from head to tail and initially look alike. They acquire separate identities (“individuation”) through a Hox code (a set of genes). 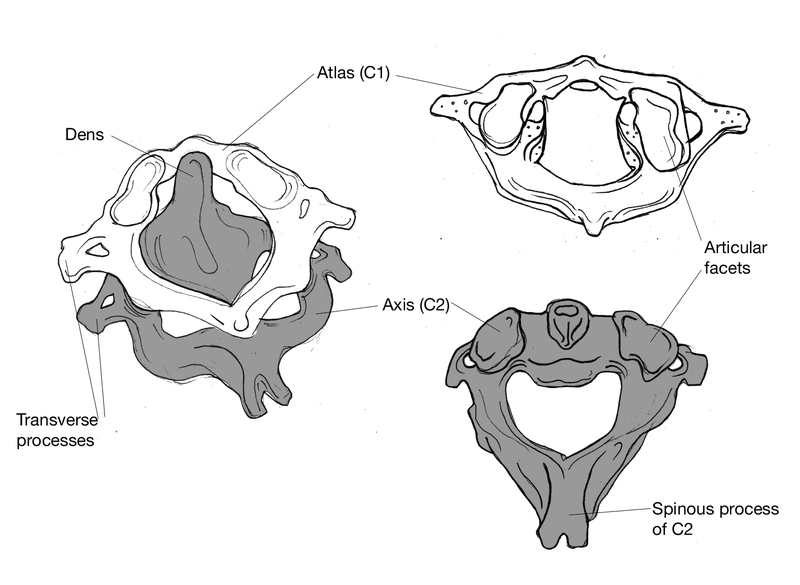 Experiments to turn the Hox genes on and off in mice lead to bizarrely shaped vertebrae. Held argues that mutations affecting the expression of Hox genes account for how human ancestors lost the ape tail and how giraffes lengthened their cervical vertebrae.